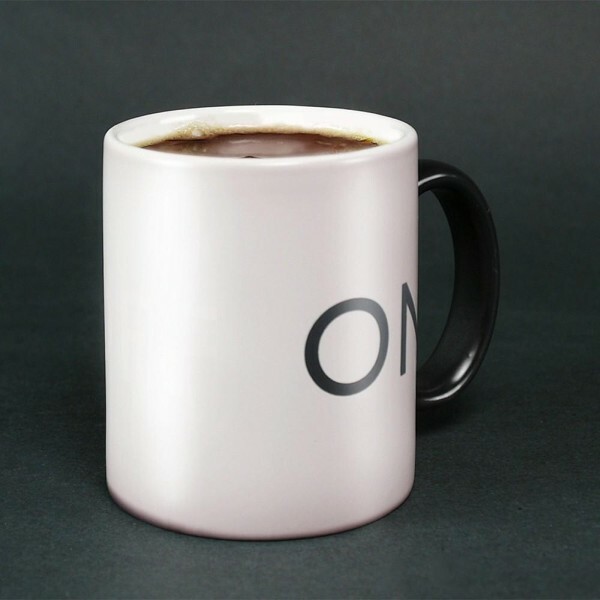 The ON/OFF Mug is designed by Damian O’Sullivan, whose work was featured in Design in the Elastic Mind, an exhibition organized and mounted by the Museum’s Department of Architecture and Design in 2008. 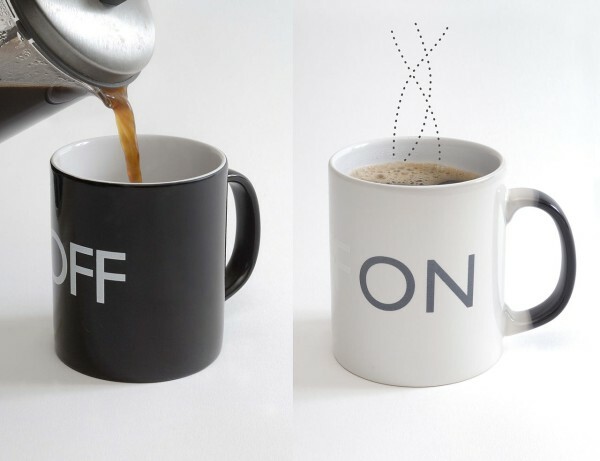 ON/OFF mug will magically transform from OFF to ON! 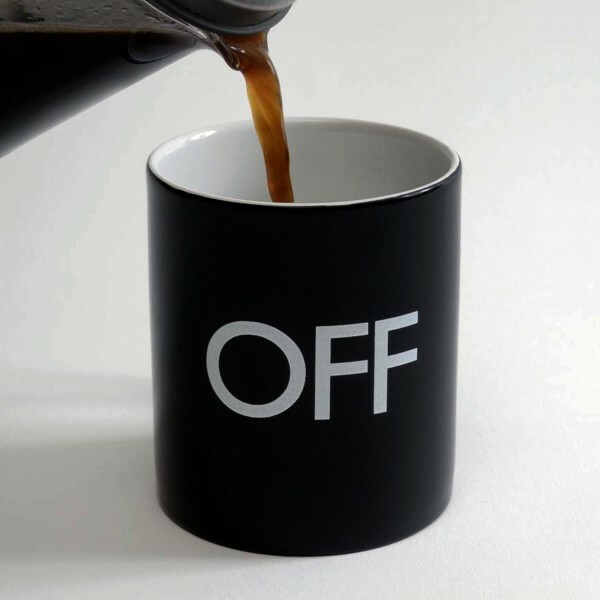 for coffee, tea and hot chocolate! 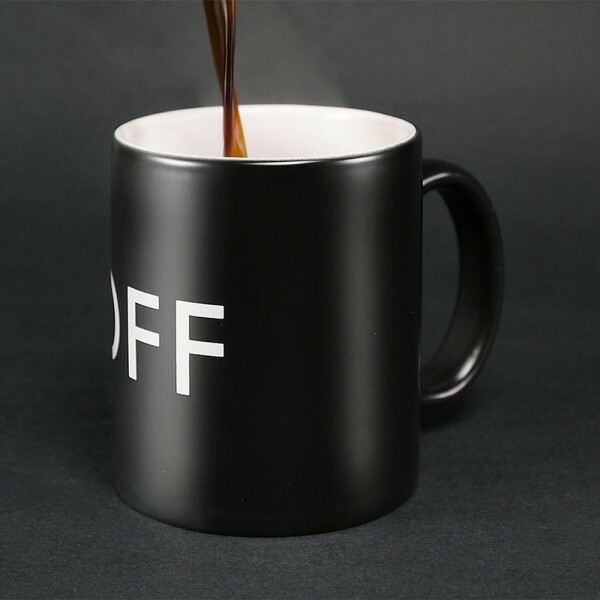 A fun gift for the coffee or tea drinker. 1. Don’t expose under the sunshine for a long time. 2. Don’t scrape on the printing with sharp & hard tools. 3. Wash with hand, not suitable for dishwasher machine and heat-disinfaction machine. 4. Water temperature should be over 70°C/158°F5. Very interesting, will order one..